Sign up for Broadjam today to follow James Vincent, and be notified when they upload new stuff or update their news! 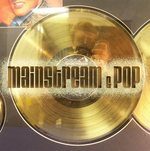 Mainstream Pop, all styles & genres. Music that spans & crosses over. Original Instrumental & Electronica compositions that inspire & electrify. 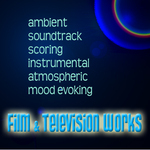 Mood based, solid arrangments & broadcast quality. 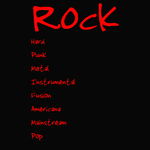 All styles & genres. guy is having a bad day, a very bad day. Why is she always on the rag? "You have the right to remain silent anything you say can and will be held against you..."
"NO ... WE HAVE THE RIGHT TO REMAIN LOUD!!! street pizza just another way of saying road kill, you know flat mangled dead animals that were just run over by an automobile. Very entertaining and identifiable. Danny screamed ?what the hell was that? "Don?t backup it's Mr. Rogers cat? Mr. Rogers screamed ?who the hell is that? ?It?s not our fault that your cat is flat? Life?s not fair on the hot concrete ?. "I told him never to go out into the street"
"I guess he didn't look both ways"
Guy is totally frustrated with his girlfriend. Jon just recieved a platinum record from the work he did with Boston's "3rd Stage" album and decided he wanted to write and record a 3 song demo that most represented his current observations. 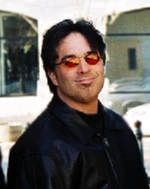 Jon recieved a platinum record for the work he did with Boston's "3rd Stage" CD and decided to write some material with a harder edge and conviction. Where no love could be found the price was too high ta pay ? Jon just recieved a platinum record from the work he did with Boston's "Third Stage" album and decided he wanted to co-write and record a 4 song demo in a more current rock style. Group of kids raising hell in the hood. Heavy rhythm with strong melodic guitar hook laced with fills and soloes traveling at very high speeds. Very cool for SoundTrack work for Action Sports and Video Gaming. The guy playing all the guitars has only one arm, I kid you not... Steve you are awesome and an inspiration. First song I ever wrote, yea it's a goof. We had a lot of fun putting it together... SpaceKrickets Rule!!! "Here they are ... the SpaceKrickets"
"Your'e a great audience!!! Good night"
Space Krickets: Ramones meet the Beatles somewhere down Thunder Road ... Jersey Band, Passionate Bubble-Gum Punk... Check out there cover of Pink Floyd's "Wish You Were Here". He said "Hey Kid, beside my knee, on Christmas where would you want ta be?" I have been wanting to get this sample of Exile's "Kiss you all over" for 10 years and work it into a dance tune... oh well would you settle for Fusion ala Smooth Jazz.